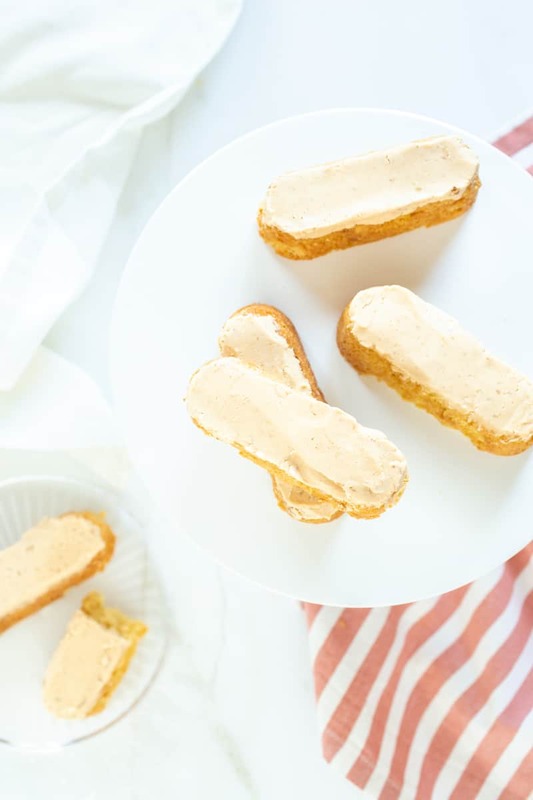 Homemade Butterscotch Krimpets | Good. Food. Stories. Love homemade treats? 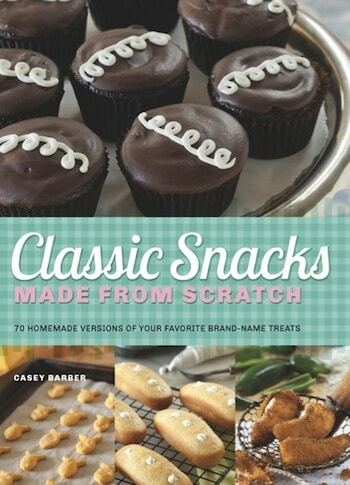 Find more recipes like this in my cookbook Classic Snacks Made from Scratch: 70 Homemade Versions of Your Favorite Brand-Name Treats. Buy it now on Amazon, Barnes & Noble, or your local indie bookstore! As a long time regional snack aficionado, I’m both pleased and disappointed by how easily one can get their hands on cult snack foods these days. Company mergers make it more likely than ever that customers can find formerly hyperlocal snack brands popping up on mega-mart shelves across the nation, and those living far away from their hometowns but willing to pay a few bucks for shipping don’t even need to leave the house to get their childhood snack fix. Yet even with the cash influx of bigger corporate umbrellas, a few brands still stick to their regional roots and the same family recipes, among them It’s-It ice cream sandwiches of San Francisco. And as a proud Pennsylvanian, I would be remiss not to feature Tastykakes, the Philadelphia-based bakery that’s been churning out Peanut Butter Kandy Kakes, Koffee Kakes, Kreamies, and other krazily-spelled cakes since 1914. 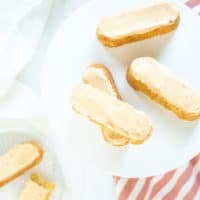 I’ve developed a DIY version of Tastykake’s Butterscotch Krimpets, the spongy little snack cakes with golden caramel frosting that were some of the bakery’s earliest creations. 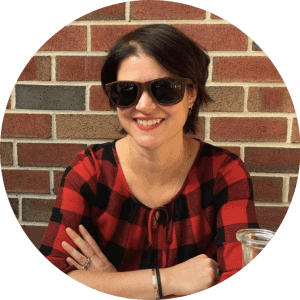 And like Cheez-Its, Pudding Pops, and other homemade junk foods already featured on Good. Food. Stories., these not only taste almost exactly like the real thing, but they’re exceedingly simple to make. That won’t be a problem with this homemade version, but the buttery cakes may offer up leverage to barter for some pretty valuable things. And those who are petrified by the prospect of molten hot sugar need not avoid this recipe for fear of death by frosting. Making butterscotch is much easier than dry caramel; with a higher moisture and fat content, there’s less danger of scorching. Shuna Lydon’s perfect butterscotch tutorial from Simply Recipes has step-by-step photos of the process. Don’t omit the salt; it’s crucial for that true butterscotch flavor. Love Tastykake Butterscotch Krimpets? 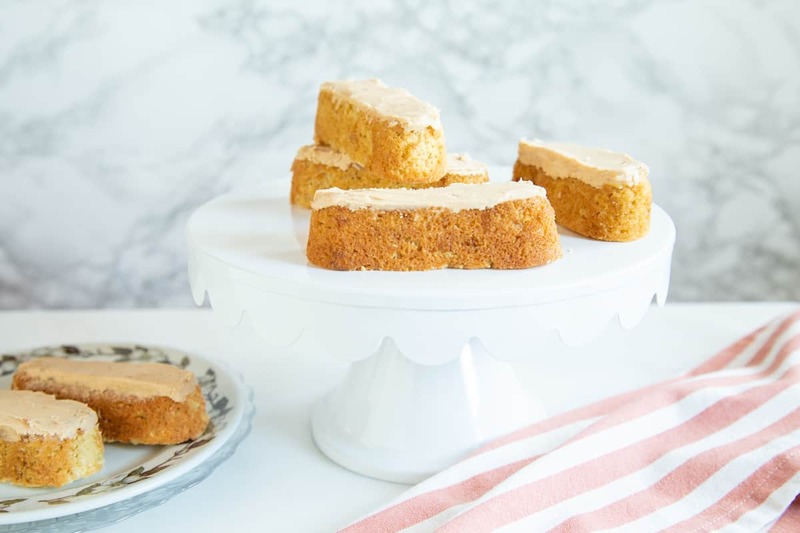 Here's an easy homemade version of the tasty butterscotch snack cakes, from the book Classic Snacks Made from Scratch. Preheat the oven to 350 degrees F. Spritz 2 canoe pans with nonstick baking spray. Whisk the flour, granulated and brown sugar, baking powder, and salt together in a large bowl until no lumps remain. Whisk the oil, water, vanilla, and egg yolks together in a separate bowl. Stir into the dry ingredients and set aside. With an electric hand mixer or stand mixer fitted with the whisk attachment, whip the egg whites into stiff peaks on medium-high speed, adding the cream of tartar once the egg whites are frothy. Gently fold the egg whites into the batter, working slowly to incorporate them evenly. Pour the batter into the prepared canoe pans, filling each well only halfway. Bake for 18-20 minutes until the cakes are golden brown and a tester inserted into the center of a cake comes out clean. Cool the cakes for 10 minutes on a wire rack. Line the rack with waxed paper and lightly spritz the paper with more nonstick baking spray. Carefully remove the cakes from the baking pans and cool completely on the waxed paper-lined rack. Melt 2 tablespoons butter over medium-low heat in a high-sided, heavy-bottomed pan at least 1 quart in volume. Add the brown sugar and stir occasionally with a silicone spatula or wooden spoon for about 2-3 minutes. The sugar will change from sandy and granular to shiny and light toffee in color as it cooks. Carefully stir in the cream—it will hiss and steam as it hits the hot sugar. Continue to cook, stirring frequently, for about 5 minutes more. The butterscotch will thicken and the bubbles will become glossy and fluffy. Remove from the heat and carefully pour into a large bowl or the (clean) bowl of your stand mixer. Let the butterscotch cool for 10-15 minutes, stirring every few minutes, until it is lukewarm to the touch. Stir in the vanilla extract and salt. 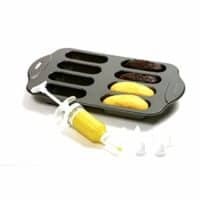 With an electric hand mixer or the stand mixer paddle attachment, beat in the remaining 4 tablespoons butter, then the confectioner's sugar, until light and fluffy. 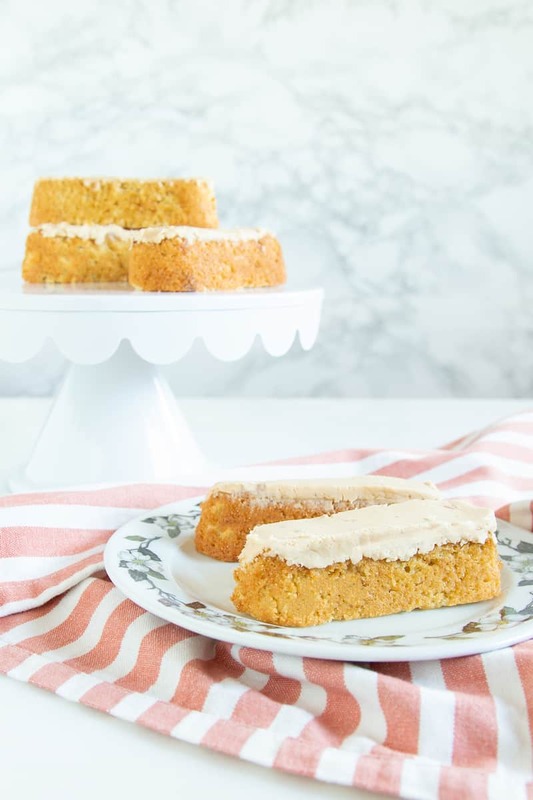 With a serrated knife, slice a thin sliver off both the top and bottom of each cake to create flat surfaces. Spread an even layer of frosting atop each cake piece. Eat immediately, or store in an airtight container at room temperature for 3 days or in the refrigerator for up to 1 week.